1 - Do i only change the copper washers right down the bottom of the injector or the full set which includes copper washer, Rubber washer, Plastic washer and metal C clip? Any advise on how to or anything else one needs to be aware on this topic would be very much appreciated. 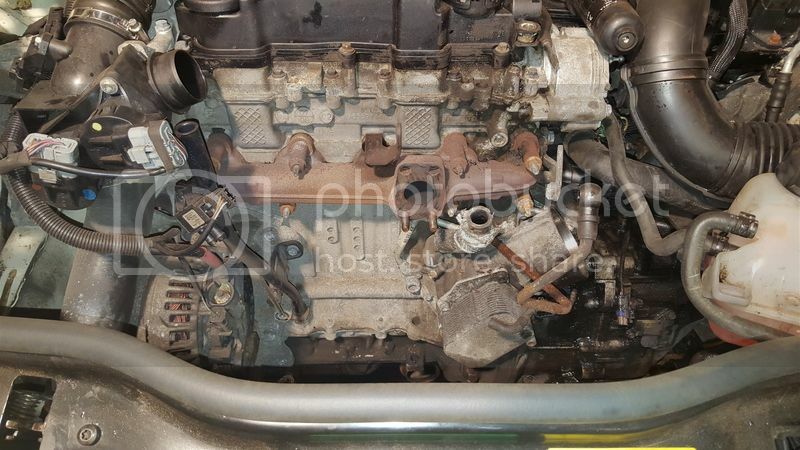 all of it is the answer, ebay sell complete kit £25 ish, also and this is very important, you will need to remove the sump clean it out including the oil pick up for oil pump,, also the turbo oil feed pipe remove it fit a new one and remove the gauze filter where it connects to the engine block,, if you dont do this your turbo in near future will fail its a very known issue i've see loads of these hdi engines after this has happened with things like conrods out side of block due to engine oil over run where engine runs on its own oil cant stop it until all oil has gone,, not good,, i just finished a 58-red cooper d that has this happen to it, head off crank out engine rebuild new turbo dpf big bill. reason for this is the carbon builds up and blocks the gauze filter in oil pipe to turbo.. stupid idea i know. Thanks for your advise. Are there any videos online on the work you suggest i need to carry out as well as changing all 4 washers on each injector that you are aware of by any chance? I am aware and know how to do the Turbo feed pipe, should i change the hall pipe of just the Nut with the mesh filter in? I bought my Cooper D Clubman with 127,000 miles on the clock and it had a fantastic service history. 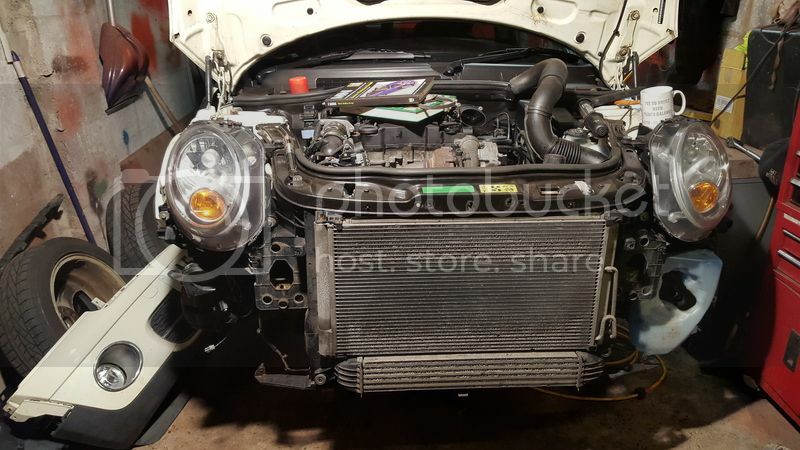 I bought it as a trade sale from a dealership due to the high mileage and although the car was highly serviced by its former keeper I decided to rebuild the turbo for peace of mind. 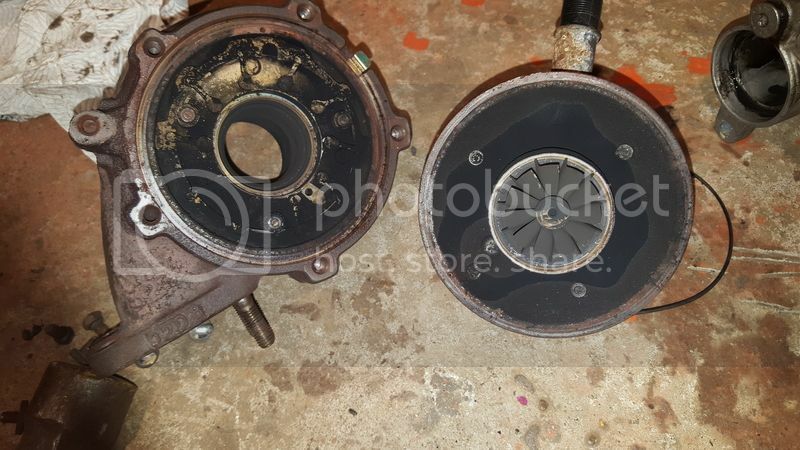 Turbo removed to reveal the oil return pipe. This pipe MUST be removed and replaced with a new one! Turbo broken down and just in time by the look of it! Car now ready to do another 100,000 miles! These engines are superb units and will easily clock up a million miles if its serviced regular. I'd recommend a service interval of every 60000 miles or 1 year which ever comes first. If you do this then the car will last a long long time! You are a star...! Thank you so much for the information and images. 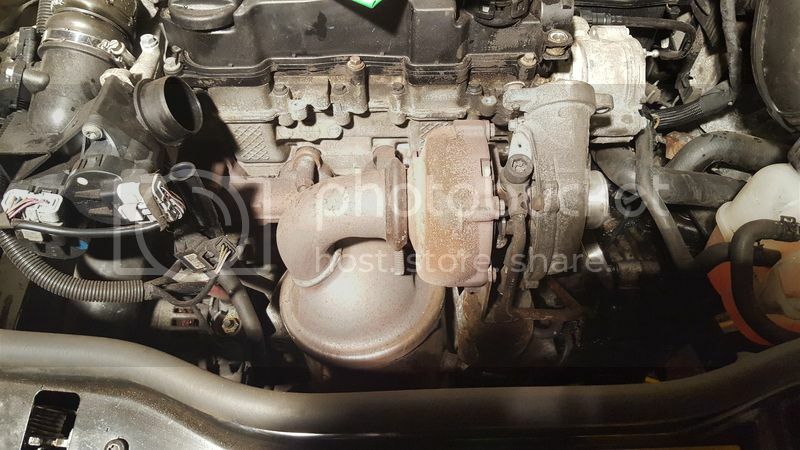 Is the engine in yours the Peugeot 1.6 HDI PSA as mine is? It does look it! If so, am i right in thinking all the parts are available from Peugeot which will end up cheaper then the BMW dealer prices?? 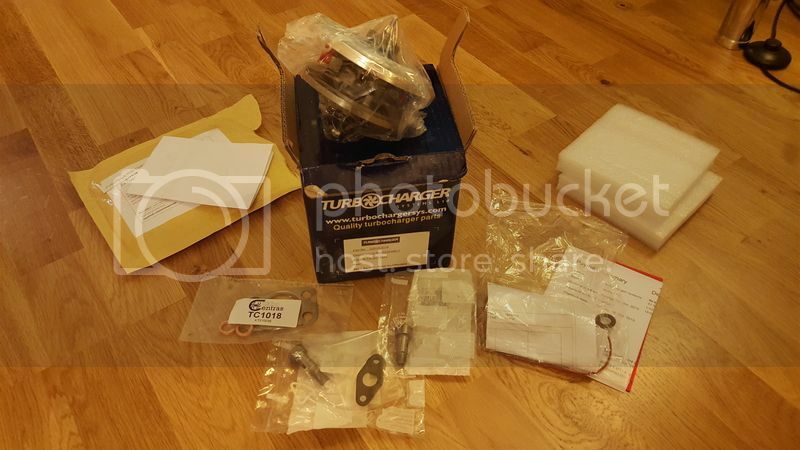 london turbo's are £192 plus £36 deposit get back when send old unit back, btn want over £340 for garret that in my experience has not ended well nor as their service level. That does not sound good at all! I'm sorry to hear it mate. 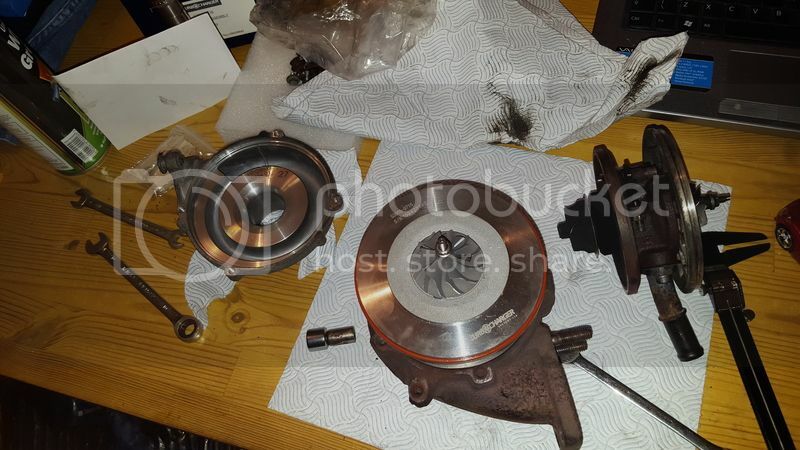 I will try and obtain all parts required to do the Injector seals and turbo pipe and filter from my local Citroen/Peugeot dealers in that case. I just need to find a reference key to all the Citroen part numbers and drawings like the BMW version of real OEM. Thanks again for your advise and hope you get your issue sorted soon. So sorry got you mixed up with Mike another chap who has been given me advice here. How embresing! Thank you so much for all the info mate...! peugeot sell return pipe £23 including vat retail bought one other day,, another good point there are sellers advertising flexi high pressure oil feed pipes for turbo oil feeds, seen a couple of issues where the pipe size is a bit larger and causes a drop in oil pressure between the two sizes,, so always buy the proper designed oil feeds and oil return pipes as turbo needs oil pressure to live. 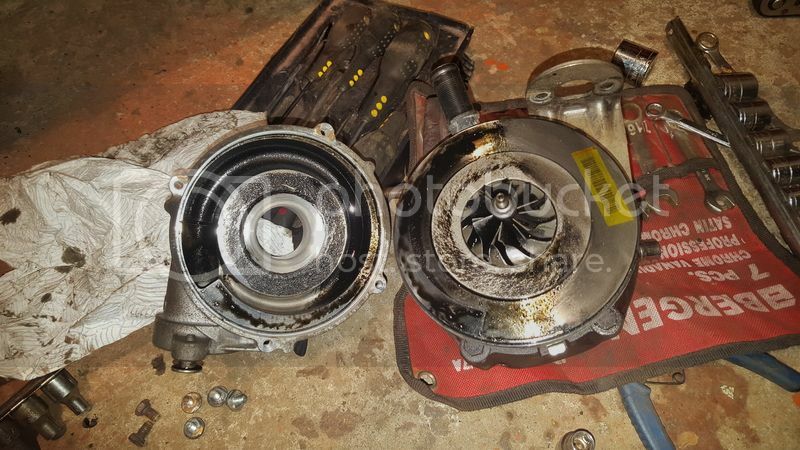 By the way guys, is there a way of cleaning the turbo while on the car assembled, with a Aerosol Turbo cleaner which prayed through the intake? Or is that not a good idea and there no point in doing so? 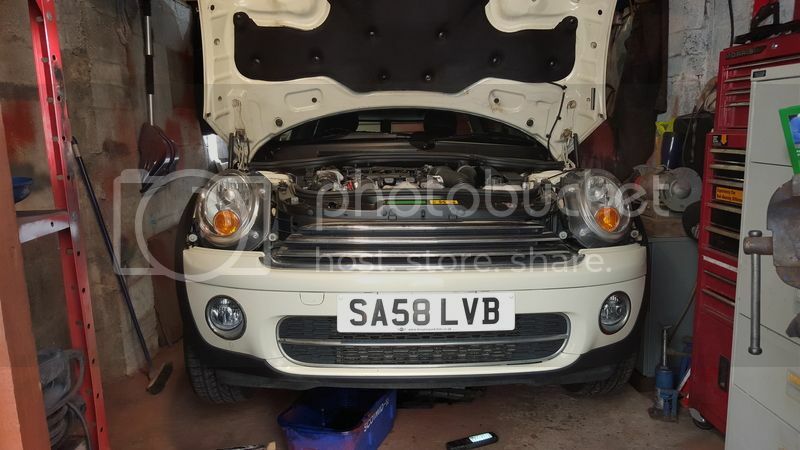 so you buy a mini with say 60k on the clock got full service history been loved and just had additive tank refill and reset counter, and off you go thinking that all is good now,, hmmm trouble is these engines are by design due to the dpf filter and what it does a very dirty engine that stores the carbon that would of gone out the exhaust if it did not have a dpf,, so this carbon now is everywhere including the engine oil. 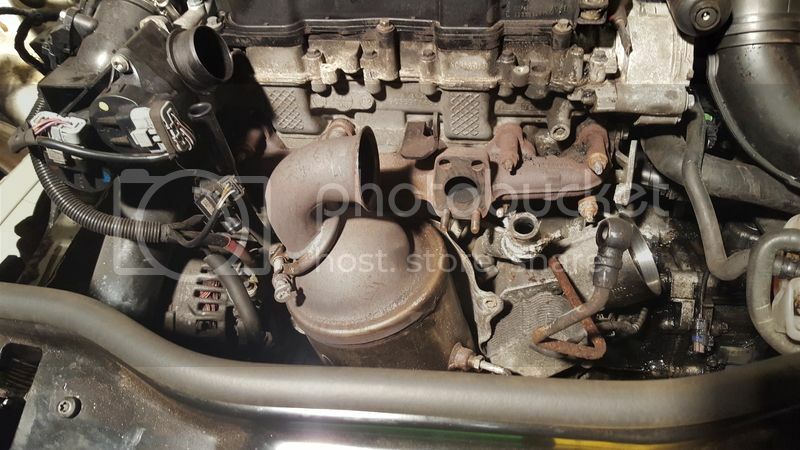 same engine oil that cools and lubricates the high pressure turbo bearing and oil seals, so at around 80k the dpf is at the end of its life and needs replacing or as some try cleaning,, but a lot of people at this point get told to go and race the hell out of your car to generate heat to aid regeneration,, where really you should go and replace dpf filter with replacement and re do additive tank and reset the system ie the ecu needs to be told it has now got a new filter etc, by racing the engine with a massive back pressure that also the ecu on regen adds fuel and changing timing to increase heat to regen then cooks and over loads the turbo,,, this is where it gets stupid, so turbo will fail and the engine oil gets sprayed straight in to the air intake,, a diesel engines loves this as it burns oil so goes in to over run, this is where you can not stop engine from reving at 10,000 revs and will not stop until its used all the engine oil,, this then starves the engine of oil destroys it every bearing face run dry,, so at point of car needing a dpf at 60k would cost £200 for filter and £50 for additve and £50 for reset,, you end up with refurb turbo £200. dpf and cat £400 at new engine £2500 or secondhand one at £700 plus the labour. or car dont go in to over run you and been lucky, so off you go and buy a new turbo bolt it on replace the oil pipes and clean out sump do injectors seals but dont change the dpf filter and reset it.. so car runs ok for a few hundred maybe thousands of miles but soon it will once again destroy another turbo,, and the turbo company no matter how you have fitted a new turbo will invent some reason for not replacing your new turbo as a faulty item. 1 Attachment(s) New Battery ??? Today 07:47 AM by Silvergrower75?